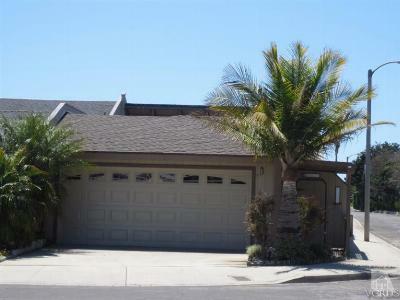 Dont miss out on this Open House by the Water accross from Mandaly Park in Oxnard CA. Waterfront corner home in Mandalay Bay with two private docks that have direct access to street side. South facing channel view. New roof, fresh coat of paint on exterior walls and wooden deck. Vaulted ceilings, skylight in hallway bathroom, brick fireplace in great room, new carpet, new double pane sliding back doors. Easy boat access to main channel. Located near beach, parks, and a short ride to restaurants and shopping. No Mello-Roos or HOA; voluntary HOA is $50/year. This is great for a vacation home.